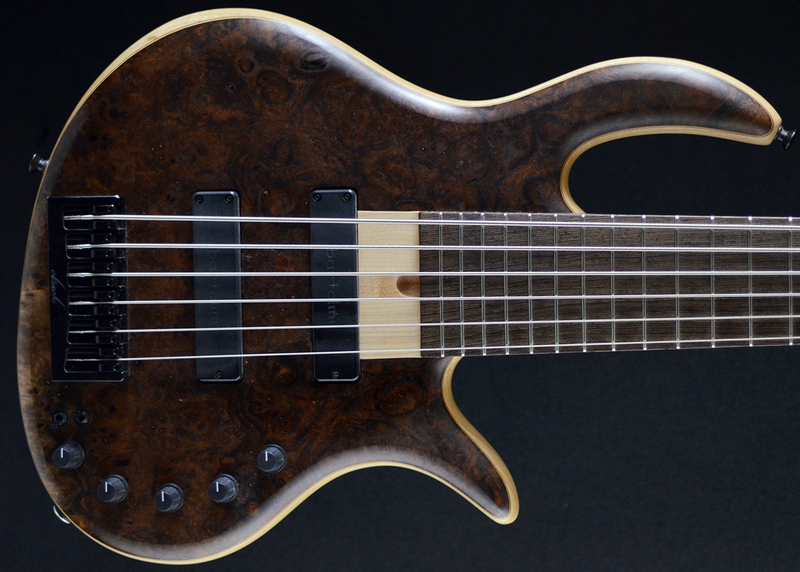 •Another stunning hand made instrument from acclaimed US luthier, Rob Elrick. This lightweight (3.95kg) bass has a huge range of tones and is very easy to play and use. This pre-owned 2016 model is presented in immaculate, unmarked condition and comes with fitted hard shell case. 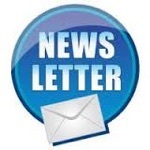 •Actual instrument shown, please click on images to enlarge. Rob Elrick started his company in 1993, since then he has established himself as one of the leading custom bass manufacturers in the USA. Each bass is totally hand build and each neck is hand carved with no CNC mills, copy machines or shapers used. The Gold Series of guitars include instruments that feature bolt-on neck construction. They are identifiable by their gold leaf emblem and are available in "Classic", "e-volution" and "New Jazz Standard" body shapes. All bodies feature a "heel-less" body design for exceptional upper register access and an asymmetrical bolt pattern offering exceptional stability. All instruments are hand carved from the finest hardwoods, including swamp ash or alder bodies and necks constructed of quarter-sawn hard maple or quarter-sawn wengé. Other woods are always available by special request. graphite stiffening rods or quartersawn wengé. Other woods available by request. ‘Gold!’ sings Kevin Sanders. ‘Always believe in your soul!’ And in Elrick’s tasty-looking new 5? I t must be tough being a custom bass builder. Part of the problem is, of course, that mass-produced instruments, despite being churned out by the thousand, are of such high quality these days. 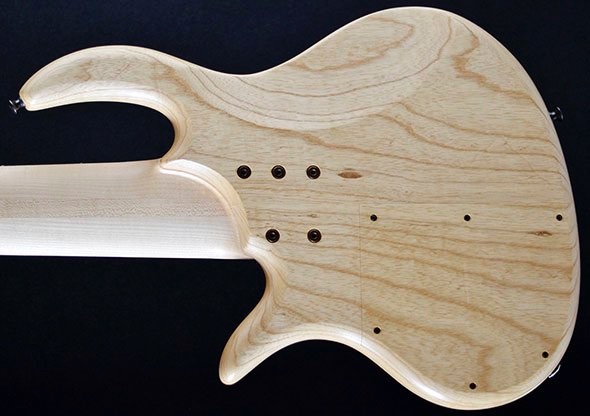 Despite each CNC-machined bass being a perfect clone of its sibling, they’re often made of good quality timber and usually have great-sounding pickups and preamps. Add to this a shiny robot-sprayed finish and big-scale economics price, and what’s not to like? It’s amazing that any custom builders still exist. But they do, and one of the best is Chicago luthier Rob Elrick. He has thrived by offering a wide range of superbly handcrafted instruments at affordable prices, and playing this Gold series E Volution, it’s plain to see why basses like this from small-volume makers will always be in demand. First impressions count for a lot, and straight out of the box this Elrick looks like class. 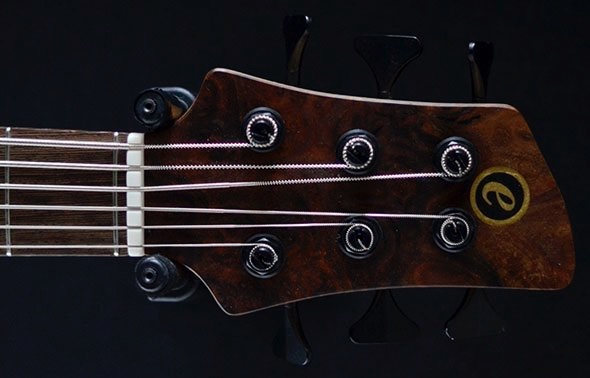 With its sleek, modern body shape and ‘two over three’ headstock, it reminds me a little of the Fodera Monarch – and like that bass, the downward-sloping lower horn means that it’s as comfortable to play sitting as it is standing. Strapped on, you realise how surprisingly light the bass is and how the elevated placement of the rear strap button gives the bass a lot more freedom of movement when you’re standing up. Sometimes the simplest ideas are the best. The body is made of a single piece of light swamp ash with a top of figured ‘Claro’ walnut. This kind of American black walnut comes from the lower parts of old orchard trees, where you get the best grain patterns. The neck is fixed with five countersunk hex bolts, angled so that a portion of the body on the treble side can be sculpted away. This makes playing above the octave as easy as it is down in half and first position, where the headstock, faced with walnut to match the body, is scarf-joined to the shallow-profile, three piece maple neck. The flattish fingerboard is satin-smooth bubinga, a hardwood similar to rosewood, but with a much lighter, pinky colour. It’s completely free from any decoration, including front dot markers, which gives it a clean and uncluttered look, although the pale colour does mean that the white pearl side dot markers (inlaid a little offcentre on our review bass) are quite hard to see, especially at ‘all or nothing’ gig lighting levels. The 24 medium frets (including a zero fret) are all accurately fitted with smooth, filed and polished edges and no apparent high spots. The action on our bass was set a little low as shipped, but despite this there were no buzzes or rattles. Like all Elricks, the pickups are Bartolinis, in this case two J coils. The preamp is also a Bartolini, in this case the NTMBF 9V system, housed in the large, copper foil-shielded rear cavity where the wiring and soldering all look neat and orderly. This is all top stuff and matches the high quality of the craftsmanship and timbers used. I would just mention that the black plastic control knobs do feel a bit tacky in comparison. Two items that most definitely don’t need to be changed, however, are the lightweight tuners and the bridge, both Hipshot items. 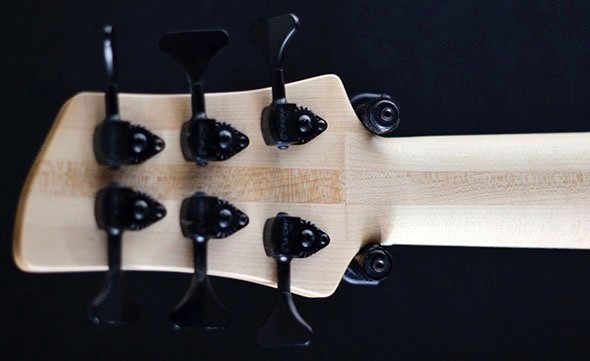 The black anodised bridge is neatly engineered with adjustment in each plane and the tuners are brilliant little pieces of design – smooth, accurate and feather-light. Both the neck and body are oiled and waxed and, although this finish may mean that the bass is a little more susceptible to dings and scratches, it feels very comfortable to the touch, particularly on the back of that slim, fast neck. Plug in and straight away the Elrick has a loud, open and uncompressed quality to the sound, with a natural, almost acoustic edge to it. The controls are a great balance of functionality and ease of use. Firstly, at the bridge end there are two toggle switches: the first of these switches between active and passive. In passive mode you have just two functioning controls; foremost volume and behind this pickup pan. This is a great way to check out the natural voice of the bass and hear how the blend of tone woods and construction methods work together. Towards the front pickup it’s dark and sonorous, with just the right amount of bright harmonics, emphasised by the lightweight ash body and neck. Panning towards the back pickup brings in focus and a punchy, low-mid bark. If you only ever used this bass in passive mode, you really wouldn’t have much to complain about. The string response is perfectly even, too, with one of the tautest, best-sounding low Bs we’ve heard, no doubt in part due to the 35”-scale length. With the toggle set to active mode you have the benefit of the three-band EQ: treble, mid and bass. These frequencies are perfectly chosen and that glorious quality of sound is always present, wherever the EQ is set. The Elrick’s secret weapon is the second toggle switch, which gives you three different mid frequency settings. This really is the icing on the cake and elevates the preamp – and indeed the bass as a whole – from being merely very good to exceptional, allowing quick, intuitive adjustment of your sound mid-performance, even mid-song. Despite being one notch down from the range-topping Platinum series, the Elrick Gold series lacks nothing in terms of quality of craftsmanship: the woodworking here is exemplary. The E-Volution is made from gorgeous timbers, too, and fancy figuring aside, it’s hard to see how the more expensive Platinum series could better it. Certainly, the Platinum’s through-neck design, although undoubtedly more time-consuming to build and therefore expensive, doesn’t necessarily translate immediately into an improvement in tone – different possibly, but not necessarily better. Of the entire Elrick range – note that as well as the Gold and Platinum series, there’s a European made ‘Expat’ range – I think this would be the bass to go for, even if you could stretch to the more expensive instruments. This is a real player’s instrument, not overtly flash, but with top-quality tone woods and hardware, preamp and pickups. Add to this a broad palette of easy-to-dial-in bass tones, and this instrument could well be a candidate for your ‘bass for life’. I’d say that makes it a bargain. Plus Beautifully made from quality tone woods, electronics and hardware. One of the best and user-friendly preamps we’ve seen on a bass at this level. Big, clear and ringing bass sound. Minus Just a couple of tiny niggles: the edge dot makers are inlaid slightly off-centre and quite difficult to see, and the control knobs are a bit… Maplins. Overall If you only ever had one bass, you could do a lot worse than the Elrick Gold series E-volution. A little bird tells me that Bass Direct are selling this particular instrument for considerably less than RRP. If you’re interested, get in quick before I manage to save up! Stuart Clayton takes a look at two different ends of the Elrick spectrum. Although they might not be as familiar on these shores as some of their fellow US based luthiers, Rob Elrick and his team have nevertheless crafted a respectable name for themselves since first launching their instruments at the 1993 Summer NAMM. Elrick offer three basic ranges of instruments: Platinum series, Gold series and the Expat NJS. The Platinum series basses are the more expensive of the range and are built using a variety of construction techniques including single-cut, throughneck, hybrid and hybrid semihollow. A Platinum leaf logo is added to each as a finishing touch. The Gold series are Bolton neck instruments that are available in a variety of body shapes: classic, e-volution and NJS. These instruments are adorned with a gold-leaf logo. Finally, we have the Expat NJS (New Jazz Standard) series, which represents Elrick’s efforts to offer a modern take on the classic Jazz Bass design at an affordable price point. To that end, manufacturing of this model is handled in Europe to keep costs down. Here we have a single-cut Platinum series e-volution 5-string retailing at £3,000, and an Expat NJS 4-string, retailing at £1,500. Let’s take a closer look. The EVO features a singlecut, neck-through design comprising a swamp ash body topped with a gorgeous piece of burl maple. The neck is constructed of three pieces of select maple and is visible running through the centre portion of the body. A thin sliver of a darker wood that provides a border – a very attractive addition – encompasses this neck-through section, along with the edge of the burl top. The wenge fingerboard looks fantastic against the burl maple, and the continuation of the top body wood on the headstock is another great cosmetic touch, particularly with the platinum ‘E’ logo adorning it. Flipping the bass over we find a large cutaway section where the heel would otherwise be on a more traditional bolt-on instrument. The shaping of the woods is superb here, but the real function is to facilitate easy access to the upper register. The control cavity plate on the EVO is a removable section of the body wood that’s exceptionally well cut and looks fantastic. Turning our attention to the Expat, we were similarly impressed. The bolt-on neck bolts, and more thoughtful shaping is applied to the heel of the instrument. Finished in white, our Expat is adorned with a three-ply tortoiseshell scratchplate, carefully shaped to accommodate the controls. The Indian rosewood and satin hardware are the perfect aesthetic choice here, finishing off the look nicely. Both instruments feature Hipshot hardware – black for the EVO and a satin finish for the Expat. Lightweight tuning gears keep the headstock weight down and improve balance, while the chunky Hipshot bridges provide all the adjustability needed. Th eEVO also features Dunlop strap locks, which is always a nice addition. Bartolini pickups are used on all Elrick basses: the EVO has soapbars,the Expat has Bartolini J coils. Both instruments have the same Bartolini NTMBF three-band circuit. Opening up the control cavities reveals exceptionally neat wiring, soldering and shielding, with the battery housed in a separate compartment within the cavity. You might prefer separate flip-top battery covers, but nevertheless it’s reassuring to see that the same high building standards found on the US-built EVO are carried through to the European-built Expat. Both instruments feature Hipshot hardware – black for the EVO and a satin finish for the Expat. Lightweight tuning gears keep the headstock weight down and improve balance, while the chunky Hipshot bridges provide all the adjustability needed. Th e EVO also features Dunlop strap locks, which is always a nice addition. Bartolini pickups are used on all Elrick basses: the EVO has soapbars, the Expat has Bartolini J coils. Both instruments have the same Bartolini NTMBF three-band circuit. Opening up the control cavities reveals exceptionally neat wiring, soldering and shielding, with the battery housed in a separate compartment within the cavity. You might prefer separate flip-top battery covers, but nevertheless it’s reassuring to see that the same high building standards found on the US-built EVO are carried through to the European-built Expat. The EVO offers a broad sonic palette. In addition to the standard volume, blend, treble, middle and bass controls, this bass has an active/passive switch and a three-way toggle switch for selecting different mid-range frequencies. In active mode, the usual blend ratios yield the expected bass sounds – a killer slap tone when favouring the neck pickup slightly and a biting fingerstyle sound from the bridge pickup. But the devil is in the detail here and experimenting with the mid frequencies results in more punch when we need to fi t our sound into an unfriendly live mix. _ is control requires some familiarity with how you can best use the mid range to your advantage, and overall we were pleased with the range of tones on off er here. Adding in the passive mode provides more traditional tones that work well for pick-based rock – although we didn’t feel quite right playing such things on a single-cut instrument. The Expat fared similarly well..The natural tone (both pickups used in equal ratio) was full and throaty and sounded fantastic whether slapped or played fingerstyle. The overall tonal palette certainly recalls classic jazz tones, although with a modern edge: the active EQ adds extra weight and punch where needed, and the addition of a mid-range control helps refine the sound. Both the Expat and the EVO are superb instruments and, despite being built in different countries, boast similarly impressive levels of build quality. Both have a broad and ultimately very usable range of tones on offer, and are comfortable, well-designed basses that are enjoyable to use live. Retailing at £3,000 the EVO will be beyond the means of many of us, but anyone who is looking to make a serious investment in an instrument that will last a lifetime could do a lot worse. _ e Expat, while not cheap, is a far more affordable alternative and offers much of what makes the EVO a great bass. Impressive stuff all round, and we’d certainly recommend both instruments for a test drive if you have the opportunity. Plus: Great-looking, great-sounding basses that are well designed and comfortable to play. Minus: One very minor complaint is the plastic controls on the Expat. Pros: Dreamy construction and delightful tone. When we reviewed the Cort Elrick JP-5 in June ’03, I dug the Korean-made instrument’s excellent playability and solid tone, but I was left curious as to what its aristocratically priced American-made cousin, the Elrick e-volution, was all about. The e-volution is a new model, but designer Rob Elrick actually intended it to be his first bass shape. After advice from friends, however, he eventually decided on the more exotically contoured “Classic” shape that has become his trademark. His deal with Cort to design the JP-5 led him back to his original concept, and he subsequently decided to add the e-volution to his U.S. lineup. The e-volution reveals that, despite the recent trend towards low-priced designer imports, money still does matter. It is an impeccable piece of bass craftsmanship. Every detail was exquisitely rendered. The fretwork was exemplary, with perfectly filed frets and faultless attention to detail. The top-notch Hipshot and Dunlop hardware was solidly installed and performed perfectly. While some staffers didn’t appreciate our tester’s spalted-maple top, no one could deny the undeniably seductive quality of the Elrick’s artful woodworking. The neck joint’s contrasting wood colors are beautiful and its design is ingenious. Carved deeper on the treble side, the joint facilitates natural hand rotation in the upper register. The e-volution’s playability was slick, due in no small part to the well-balanced body contour, light weight, and wide string spacing. It arrived with a super-low setup that led to a few choked-out notes, but after a few minor adjustments, the bass felt superb. In our Soundroom, through our Demeter/Crest/Eden rig, The Elrick’s Bartolini pickups and electronics displayed the warmth, punch, and alluring mid-range presence they’re famous for. 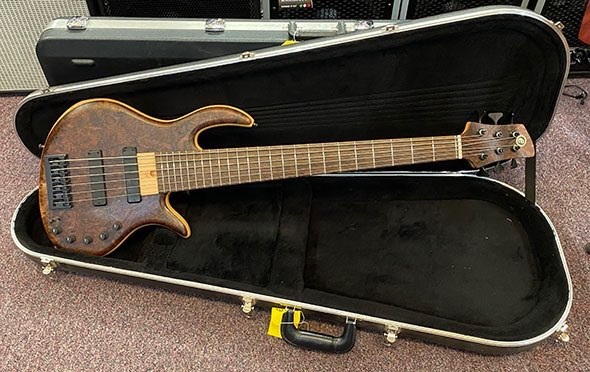 Most of Elrick’s basses feature Bartolini J-style pickups, but Rob Elrick chose soapbars for our tester because he felt they better suited its wood combination. With everything flat, the Elrick is elegant and refined. The potent EQ is an able tone sculptor that’s enhanced by the three-way midrange frequency selector. I was particularly moved by the e-volution’s even response. The zero-fret makes open strings sound like their fretted counterparts. On a New Orleans funk gig, through an Aguilar DB 750 and Bergantino HT322, the Elrick had authentic tones for everything from all-out slap to greasy Meters-style grooves. The Elrick is tasty, but like with food, super-tasy stuff like the e-volution will cost you, Its import counterpart is a solid bass that will perform competently on any gig, but if you simply must have the best, The Elrick e-volution should definitely be on your bass menu. There’s something about a handmade bass. Maybe it’s the specially selected timbers, the custom-tailored electronics, or just the extra attention that adds up to a unique instrument. If you’re one of those bassists who’s into hand-crafted wood, you’ll dig the work of Chicago luthier Robert Elrick. His 35” scale Neck-Through 4-string incorporates several species of fine hardwoods into an extremely well-built bass. The Neck-Through isn’t just another ”butcher’s block,” though—it produces some of the finest tones we’ve ever heard. At the other end of the bass is a 12 degree angled back headstock; it sports a piece of dyed-black ash sandwiched between a 1/8” “crazy quilt” cap. In the fingerboard department, a 1/4” billet of bubinga holds 24 jumbo frets—nearly all installed flush to the board on our test bass. The fret ends were rounded over nicely, the crowns were round and smooth, and the fret kerfs were filled in. We did find a few high spots with our precision-ground straightedge, but they didn’t cause any string buzzes. The neck wears a zero fret with a micarta string retainer. Some builders use a zero fret for a more uniform sound between open and fretted notes; that’s because the string sits on the same material as the frets (because it is a fret), rather than lying on a piece of bone or other material. The open strings on our test Elrick did exhibit the same snap as a fretted note. We wish more builders would use this method—although all such basses must have an angled-back headstock for proper string pressure on the zero fret. Special woods deserve special electronics. The Elrick boasts custom Bartolinis; the single-coil-size pickups are actually humbuckers with a 2 + 2 coil arrangement to cancel out 60-cycle hum. This system works well, as you can solo the bridge or the neck pickup without that annoying J-Bass-like hum. (The copper-foil-shielded cavity also helps.) A Bartolini NTMB-3 active preamp offers three bands of EQ; the midrange control teams with a mini switch for three different mid frequencies. Since there’s no compartments for the preamp’s 9-volt battery, the addition of the active/passive switch is very nice, although it produces a loud “thud” through the amp when switching preamp modes. (Robert Elrick informs us that he’s since fixed the problem by adding a resistor to the switch.) Surprisingly, the Elrick is a very lightweight instrument, especially considering its amount of laminated wood. (Glue adds weight, too.) All of that wood isn’t just for looks, though-the Neck-Through has one of the richest, most organic tones we’ve ever heard. (There’s no denying the Elrick’s sustain.) Playability-wise, the instrument feels a lot like a P-Bass in the lower registers—but it’s much faster past the 12th fret, because there isn’t much neck taper at the higher positions. Our only design complaints is that the lower horn digs into your leg when you play the bass in a sitting position. Is a 35” scale length necessary for a 4-string? Elrick feels it adds definition to the bottom string while using the instrument’s Hipshots XTender Key, which is standard on all EIrick 4’s. He also feels it makes heavier-gauge strings feel lighter. We can confirm the former; our test bass came strung with standard .045-.105 gauge strings, but the E string sounded unusually clear. The extra inch also adds superb focus when dropping the E to D.
The Elrick sounds great through just about any amp. The bridge pickup is perfect for that throaty Jaco tone, while the neck has shades of Precision-ness. And blending both pickups together effectively combines elements of both worlds while producing a very musical, deep sound. At over three grand, the Elrick Neck-Through certainly isn’t a steal. Besides first-rate tone wood, a lot of what you’re paying for is the attention of one person tailoring an instrument for you. And like most custom-made goods, that kind of special work doesn’t come cheap. Elrick Bass Guitars Ltd has received a Premier Gear Award for the month of September with the ExpatSeries New Jazz Standard. only exemplary items earn the award.